While I was surfing through the forums at Beer Advocate, I came across something humorous worth sharing. 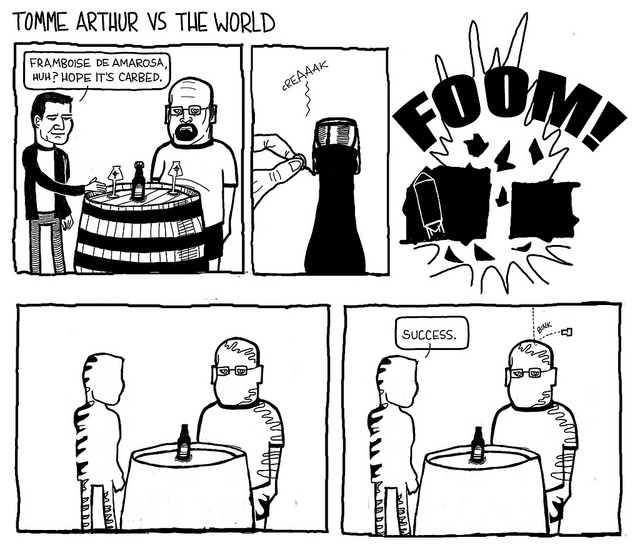 A user with some artistic talent (alfranzell) sketched up a few satirical comic strips with Tomme Arthur, Director of Brewing Operations at The Lost Abbey in San Diego, as the central figure. While I would not call these flattering to Tomme, I'm sure he would get a kick out of them all the same. The entire collection can be found on Flickr using this link. Got a link to some other good beer realted comics or art? Let us know!! "I don't have a drinking problem, except when I can't find a drink."